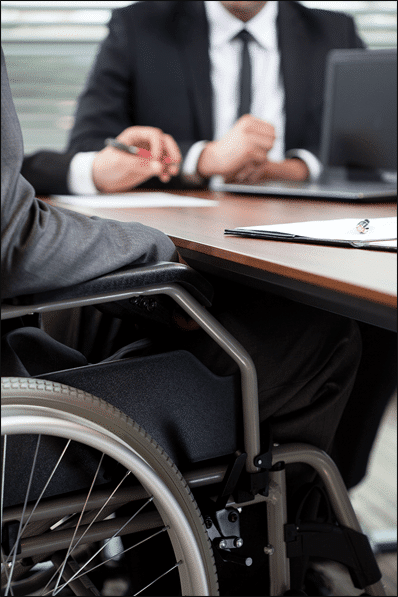 When individuals are injured by the actions of others, they may face weeks, months and even years of costly medical treatment and rehabilitation. For some victims, these expenses can be overwhelming, leaving them without the proper care that their injuries require. 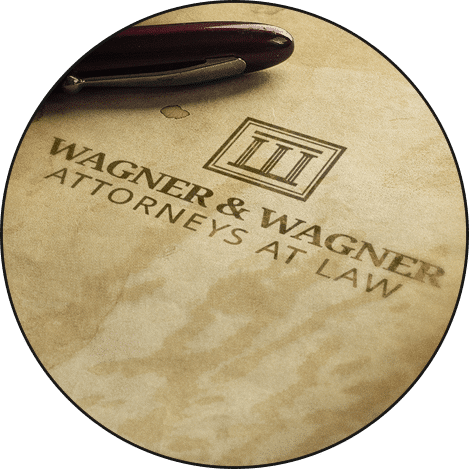 At Wagner & Wagner Attorneys at Law, we believe that responsible parties should be held accountable for the physical, psychological and financial harms they cause. That is why we provide each and every client with effective legal representation they can trust. 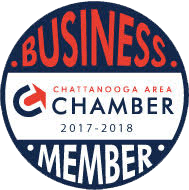 Personal injury victims deal with extremely difficult circumstances, so our professional Chattanooga personal injury lawyers diligently work to prepare a strategy that keeps our clients’ best interests in mind. Nursing home neglect and abuse. When nursing homes and elder care facilities betray the trust placed in them, their actions can severely harm residents and devastate entire families. We fight to secure compensation for the physical and psychological injuries caused by these tragic circumstances. Premises liability. Property owners and managers have a responsibility to maintain their premises in a manner that prevents harm to visitors. From slip and falls to pool accidents, property owners may be liable for the harm they cause. We also handle cases involving negligent security. Product liability. When people are injured by the products they use, numerous parties may bear responsibility. Whether the case involves a cause of action against the designer, product manufacturer or retailer, our lawyers stand up to these big business interests. Wrongful death. The unexpected passing of a loved one is particularly devastating when caused by someone’s negligence. These cases can prove challenging, but we have the resources necessary to conduct a thorough investigation and hold all responsible parties accountable. Catastrophic Injuries. While every injury is serious, certain accidents cause injuries that are severely life-altering. Conditions such as spinal cord injuries, traumatic brain injuries and burn injuries can require a lifetime of rehabilitation and assisted living. Car crashes. After a car wreck, a victim many be confused about where to turn for assistance. 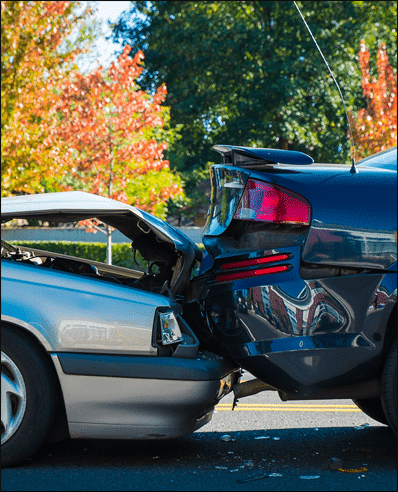 From the days immediately following a crash to the final determination of compensation amounts, our car crash lawyers provide clients with knowledgeable guidance they can rely upon. Truck accidents. The size and weight of tractor-trailers make them extremely dangerous to other drivers and passengers. Fatal injuries may result when truck operators fail to follow traffic laws or inadequately maintain their vehicles. Our truck accident attorneys can help. Motorcycle wrecks. Roadways are particularly dangerous for motorcycle operators. The openness of these vehicles, along with the careless actions of other drivers, can result in catastrophic injuries. Collisions with pedestrians and bicyclists. When involved in a traffic accident, pedestrians and bikers often endure weeks and months of medical treatment and rehabilitation. This necessary level of care is expensive, and we work hard to ensure that our clients receive the compensation they need to cover the costs of proper care. Mass transit accidents. Injuries involving mass transit vehicles likes buses and trains often result in a claim against a government entity. 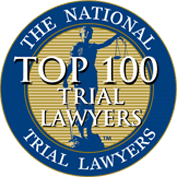 The rules surrounding these cases can prove challenging without assistance from knowledgeable Chattanooga traffic accident lawyers. Recreational vehicle crashes. Recreational vehicles, such as jet skis and boats, can quickly become dangerous when operators and owners fail to act with a reasonable duty of care for the safety of those on board and in the vicinity. Serious workplace injuries. Some workplace injuries require months of rehabilitation and may forever leave the victim unable to perform the same type of work. Adequate compensation for serious workplace injuries requires extensive documentation and strict adherence to filing requirements. Construction accidents. Construction worksites can be extremely dangerous for employees, especially when employers fail to meet minimum safety standards and regulations. These accidents often require surgery or other serious treatments, for which the employer may attempt to deny payment. Industrial accidents. Like construction sites, industrial work environments are also filled with hazardous conditions. Industrial employees are commonly injured by chemical exposure, severe burns, eye injuries and muscular overexertion. Long term effects of workplace injuries. It is not uncommon for the full severity of a workplace injury to go undetected until sometime after the initial accident. The injured party may later develop chronic back injuries or experience some form of nerve damage, such as Reflex Sympathetic Dystrophy (RSD). You should tell your employer right away if you suspect your chronic injury or illness is related to your work. To learn more, see our Workers’ Compensation FAQs. Wills. Wills and trusts are important tools that designate how an individual’s assets will be distributed upon death or incapacitation. We help with the creation of simple wills, and also assisting families when wills are contested. Probate administration. 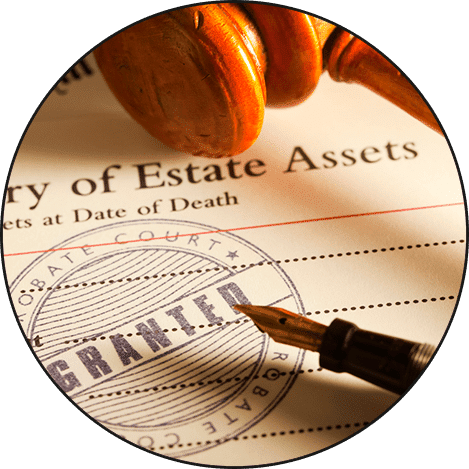 When the time arises, we walk family members through the probate process to ensure that assets are used in the manner prescribed by the deceased party. Probate litigation. If an individual or group of people choose to challenge the provisions of a will or trust, litigation may be necessary. 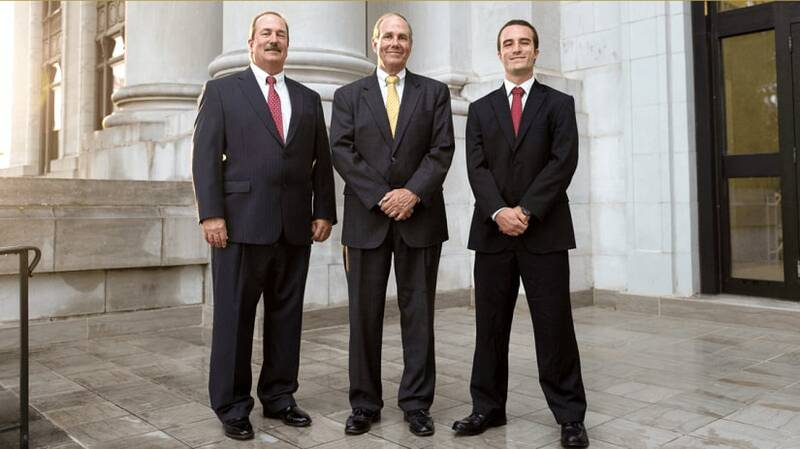 Our reputable attorneys have assisted various interests in all areas of probate litigation. Business and commercial law. Our team represents business and corporate clients in a wide variety of transactional and litigation-based matters. We look to resolve your disputes efficiently and effectively, providing comprehensive representation that will protect your company, your shareholders and your interests. Bankruptcy law. Bankruptcy can offer a fresh start to individuals and business owners who are struggling. By working with an experienced bankruptcy lawyer, you have the best chance at obtaining the debt relief you need. Social Security Disability. A serious work injury, a debilitating illness, an unanticipated accident – any of these scenarios could leave you permanently disabled and unable to work. Our skilled team of attorneys is here to help you protect yourself and your family. At Wagner & Wagner Attorneys at Law, we consistently strive to make a lasting difference in each client’s favor. 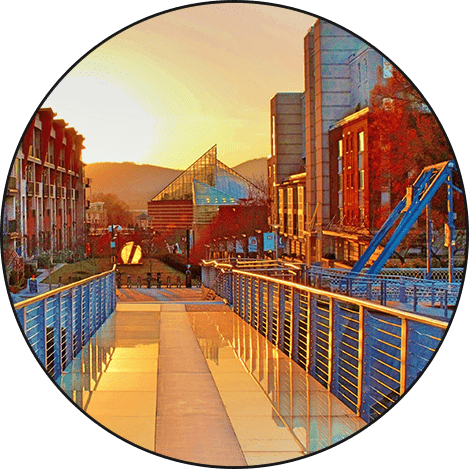 Our lawyers proudly hail from Chattanooga, and effective representation is our top priority. We carefully select our cases and clients, providing honest representation to those who stand to benefit most from our knowledge and experience. If you or a family member has been harmed by the actions of another, speak with an experienced personal injury lawyer at 423-799-3532 or complete our contact form. 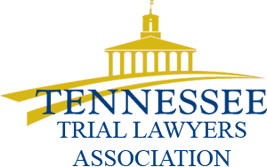 We also offer effective legal services to clients in North Georgia, Cleveland, TN and the surrounding areas. One conversation is often all that’s necessary to determine whether we can help you with your case.